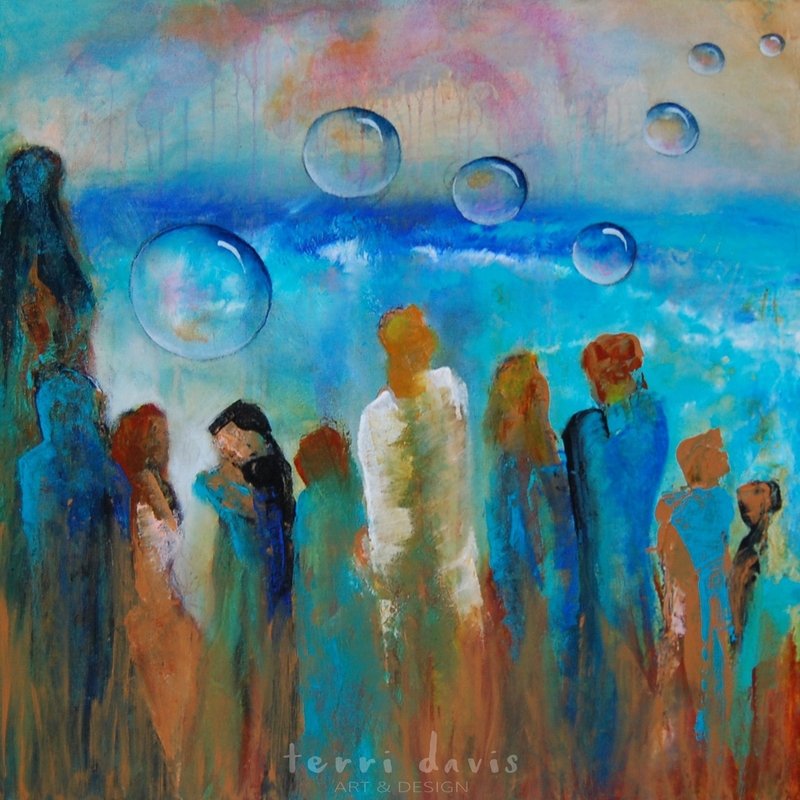 MANNA 3 is an original acrylic painting by Terri Davis. Sealed with one coat of glossy medium/varnish and two coats of UVLS Satin varnish. This is a whimsical abstract landscape. 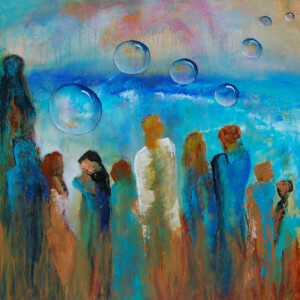 I have a fancy towards incorporating bubbles in some of my paintings. The bubbles symbolize various things to me. The first being to have faith that God will provide our daily needs. Second to hold onto our dreams in life. And third, not to forget to have some childlike fun along the way. You may increase your offer any time during the month. USA shipping will be $35.00. The last bid must be in by midnight February 31st. I will post the new offers on this page each month. This is a wonderful way to get an original painting for far less than its retail value. Best Wishes! Check out some more deals from my artist friends! Win 1 Free 8×10 Art of your Choice! Enter Full Name & Email to join our quarterly draw. Value $75 You’ll also recieve occasional news from our studio projects, events, sales, etc. Get news 1st and fresh from our studios. Click here to view Selection of Small Original Art. I'm Terri Davis. I help Baby Boomers transition into new spaces or update existing homes to meet changing needs and desires. When not knee deep in a design project, you will find me in the studio painting or seeking my next inspiration. I have integrated the best of two worlds, sharing my heart through my art while helping others create a personal sanctuary that nourishes and inspires their soul. © 2019 Terri Davis Art & Design — All Rights Reserved.